Care to be Different > Articles > Care homes > Daily top tip: Looking for a care home – but not sure where to start? When you’re weighing up different care homes, how do you know which is best? There are lots of issues to consider – and lots of questions you need to ask the manager and staff. How do the residents stay mobile? How does the care home encourage people to exercise every day and stay mobile for as long as possible? Who helps them actually do this? Is this included in the care fees? And how much space is there to walk around? Which therapists regularly come into the home? 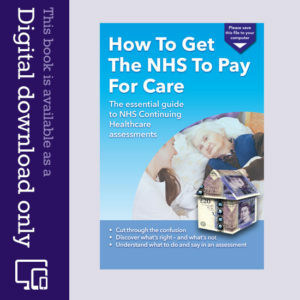 If you need an NHS or private physiotherapist, is the home is happy for them to come in to see you – or will you have to arrange to go and see them. Check what therapies the home will arrange on your behalf – and whether there’s any additional charge. Access to these therapies when you need them is vital. Are the corridors clear of clutter? If you use a Zimmer frame or have difficulty walking, clutter in corridors is a serious hazard, especially if it obstructs the handrails. The less obvious questions are always the best. 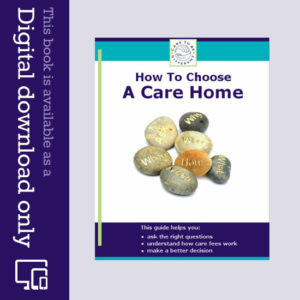 You’ll find lots more of them – about all sorts of topics – in our guide, How To Choose A Care Home. It covers the key questions most people don’t ask – but should! I am concerned about the care my mum is receiving in an EMI care home. My mum has an incontinence issue and needs help with showering. Mums stay is for 6 weeks whilst she is being assessed for future care needs. This is the second week and I visit every other day. Mum has an unpleasant smell coming from her and we have arrived more than once and found mum sitting in a small pool of urine. What care should we expect for mum? Sheila – you should expect better than that. Leaving someone sitting in urine not only shows an appalling disregard for their dignity but also brings with it the risk of skin breakdown and infection. You could raise a safeguarding alert with the local authority.